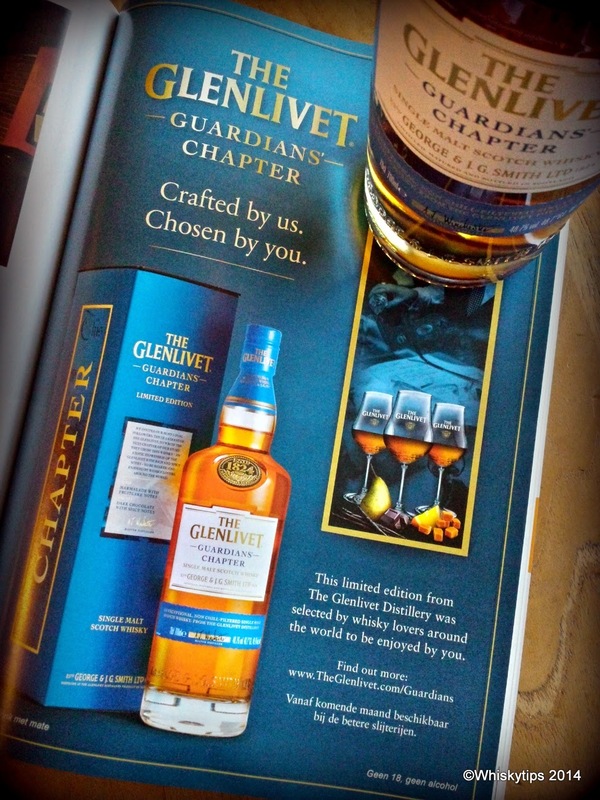 With Iggy Pop's "The Passenger" blasting through the speakers we are opening the sky-blue box containing one bottle of The Glenlivet - Guardians Chapter- bottling. It is a limited edition, number of bottles stays unclosed. Maybe better, because other brands call an edition of 22,000 limited.. The label gives no age statement, alcohol is 48.7% and it's non chill filtered. So far so good. We can't help to keep looking at the bottle (nice thick bottom) and the blue colour. Bottle says: "Please open me". Nice full colour. Although not stated on the label (you need to have an edition for the German or Danish market to be sure), we think this is natural colour. Stock price of Pernod is up at € 84,50. That's slightly more than the price you pay for this bottle. We'd prefer the bottle. By the way: If the stock price falls, you will lose money. If the bottle loses value, you can always drink it: a genuine whiskytip. That's a fine moment to move one to the tasting notes. Finish: the case of barely corn (rub a drop on the back of your hand and smell it), medium long dry. Conclusion: A very nice dram indeed. Complex, fruity, warm. This is made of barley, yeast and water and you can taste it. We don't give figures but we surely can advice you: go and try it out yourself.